As a full-service roofing contractor, BPL Roofing Ltd is able to address repair or installation requests for a wide range of styles. 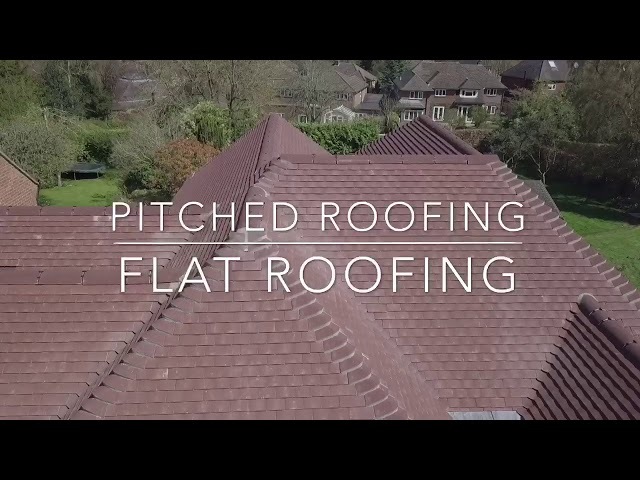 We are specialists in pitched roofing in Hertfordshire, Luton and St Albans for homes. As highly trained roofing experts, we carry out all lead work repairs, from small lead repairs, to complete renewals. All work is carried out to the highest standards and complies with all roofing regulations. Along with Flat Roofing and Pitched Roofing, we offer a number of additional services: Chimney Repairs, Guttering Services, Roof Maintenance, Rubber EPDM Roofing, Repointing and more! A broken tile, moss, loose cement, blocked gutters, these are just some of the minor things that can cause problems but don’t get dealt with until they become a larger problem. Come to BPL Roofing Ltd when you are looking for experts who deal with flat roofing in Hertfordshire, Luton and St Albans. We are skilled in all areas of flat roofs, including new installations or replacements for materials that cannot be repaired. When it comes to fascias & soffits in Bedfordshire, look no further than BPL Leadworks! We have been repairing and replacing roofs and fascias in the Bedfordshire area and across all surrounding areas for over 10 years. BPL Roofing is a family run business that was started by Ben Large in 2008. BPL continues to go from strength to strength year on. We specialise in many different roofing services, allowing us to ensure that we can provide you with an excellent professional service no matter what your requirements may be. BPL Roofing is a popular choice for those who require a roofer in Hertfordshire, and when you look at what we offer, it’s clear to see why. We provide the highest quality roofing services and only use high performance materials to ensure long-lasting results as well as cost-effective work to suit your budget. We pride ourselves on our excellent customer service and ability to provide an outstanding end result. At BPL Roofing, we can help you to find the right roofing solution to suit the requirements of your home or business. We look forward to hearing from you. Every home needs a safe roof and that’s where experienced roofers in Luton, BPL Roofing Ltd comes in. We offer professional services for roofing in Luton, St Albans and the greater London areas. We work with home owners, construction companies and local estate agents to meet any needs. Whether we are replacing roofs, installing VELUX® windows or taking down chimneys, our roofers in Luton, St Albans and the surrounding areas can handle it all. Call or email us to speak with a contractor about ways to improve your domestic or commercial property. That's Not All - BPL Do It All! Keeping Your Roof In Check This Winter! Flat Roof vs Pitched Roof – Which One To Go For? Top 5 Signs You Need A New Roof!